We have the capacity to effectively handle a large range of project sizes and types. Our diverse team of architects and engineers allows us to offer a variety of services and we will customize the scope of each project to fit your needs. We have exceptional experience in all phases of commercial site development, including architecture, MEP engineering, civil engineering, petroleum planning, and project management. Contact us to discuss your upcoming commercial development project. We work hard to provide quality service during each stage of project coordination and implementation. Our experienced architectural staff provides expertise for both large and small development programs, which streamline and create a superior quality project. Whether it is new prototypical construction, in-line site adapts, conversions, or remodels, we can offer architectural services that cover the entire scope of project development, including due diligence, design, construction documents, and construction administration. We strive to provide cost effective, construction ready documents that meet the needs and requirements communicated by our clients. We aim to build lasting relationships that go well beyond the project itself. The Dimension Group’s engineers have extensive experience designing Mechanical, Electrical & Plumbing (MEP) systems for new construction (tenant finish out and ground up construction), remodels and renovations, and upgrades to existing systems. The combined professional project experience of our team covers a wide spectrum of specialized knowledge that include retail, restaurants, offices, warehouses, hotels, and governmental projects. With years of experience across a gamut of services, we provide cost-effective and time efficient design. Our civil engineering staff provides planning and civil engineering services to both local and regional clients in the Dallas and Denver metro areas and our clients include retail, commercial, and industrial developers. We are adept at due diligence and project planning and provide engineering expertise in designing various site infrastructure, including streets, sidewalks, stormwater management, detention and water quality, sanitary sewer and water main design, paving and parking lot design, and ADA compliance. Our fueling group has vast design experience and fueling design knowledge ranging from small underground tank replacement projects to large retail sites. We have done fueling design throughout the United States including familiarity with the complex design requirements in California. We interact well with other design trades to ensure fueling plans are in coordinated with MEP/civil/and architectural plans. 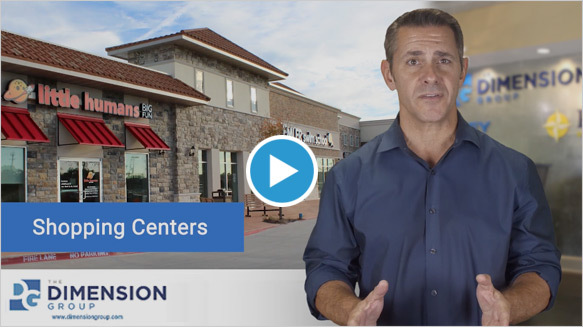 Our clients come from a spectrum of clients range from small independent retail convenience store owners, to school districts, to large national chains, both big box stores and convenient stores. The Dimension Group understands the importance of the entitlement process for our clients. We employ entitlement experts that work closely with our clients, governing jurisdictions, and utility agencies in order to streamline development and reduce unforeseen issues. We leverage our strategic partnerships and practical industry experience to ensure that our clients’ projects are processed efficiently and effectively. Executing the work in the field remains the most significant phase of any construction project, and we apply our construction management expertise to help ensure that the project is executed within your fiscal guidelines. Our approach utilizes project management techniques to successfully oversee the planning, design and construction of a project while controlling the timeline and budget. “ Character, integrity, work ethic and customer focus are but a few of the hallmark characteristics of The Dimension Group. I can truly say "I trust the Dimension Group to deliver what they promise, when it's promised.